When I visited Ireland last summer, I expected the bars of Dublin and Belfast to be awash in Guinness and Irish whiskey. I wasn’t disappointed. What surprised me, though, was the prominence of gin. Bar shelves were lined with extensive collections of regional gins. Drink lists featured multiple gin-forward cocktails. Bartenders were eager to expound upon their favorite brands. Here in the States, gin remains somewhat overlooked. Despite a growing number of craft distilleries churning out new, creative varieties of the juniper-based spirit, it has yet to achieve anything approaching the same popularity as whiskey. Our Fathers is betting that will change. A modern restaurant and takeout shop offering and contemporary Jewish cooking, Our Fathers is also Boston’s only bona fide gin bar. With a staggering array of local, regional, and international gins at its disposal, the bar team aims is to dispel some of the myths about gin and help people better appreciate the spirit. They’ve been right about this sort of thing before; Our Fathers is part of the same restaurant group that opened the whiskey-centric Citizen Public House in 2010, a time when the world wasn’t quite so obsessive about brown spirits. Our Fathers’ beverage program makes it a destination for gin lovers while offering a warm welcome for those who are wary of the spirit. There are simple, familiar drinks like a Tom Collins, along with a variety of martinis and gin and tonics made with revolving gins and mixers. There’s also a slew of traditional gin cocktails, such as the Corpse Reviver #2. Made with gin, white wine aperitif, Cointreau, and lemon, it’s a straightforward and refreshing take on a classic. But where Our Fathers truly shines is with its list of “new classics” and original cocktails. The Calvin Broadas, Jr. (better known as Snoop Dogg; I guess it was inevitable that a gin-and-juice reference would show up somewhere) is a perfectly balanced drink made with GrandTen Wire Works gin, Bounty rum, pineapple, cranberry, and cream. 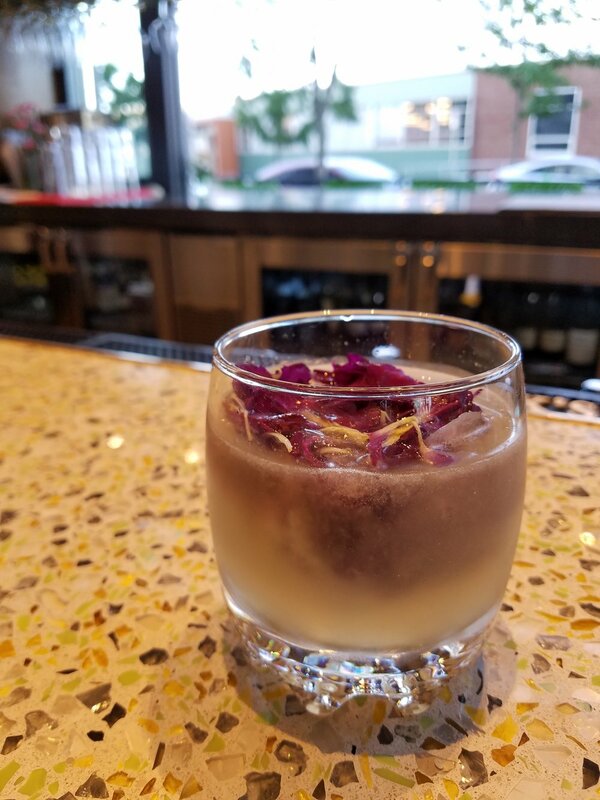 Nina Simone, named for the late singer, combines Glendalough Wild Botanical gin, Citadelle Old Tom gin, and lemon, with a Dianthus flower embedded in a large ice cube. This beauty is nice and dry, with a wisp of citrus and aromatics on the nose. And the Bernard DeVoto, an after-dinner drink created by bar manager Kayla Quigley, combines Sipsmith gin, Campari, coffee syrup, and orange bitters. With coffee, bitter, and botanical notes, this one hits the spot after one of Our Fathers’ outstanding pastrami sandwiches.